The carts are powered by storage battery. 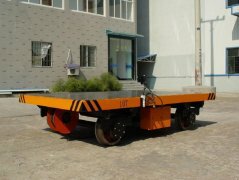 Storage battery supplies power to DC traction motor, and the DC traction motor drags the cart moving. 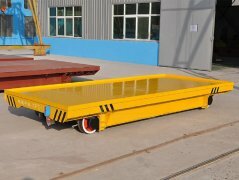 The main function of the trackless transfer trolley is transfer material from one place to another within a workshop or among workshops. 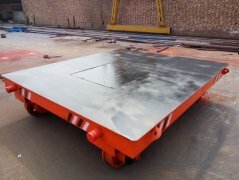 This kind of transfer trolley is mainly used on straight rails, but it also can be specially used both on the 'S' and arc-shaped railways to carry many different kinds of stuff. 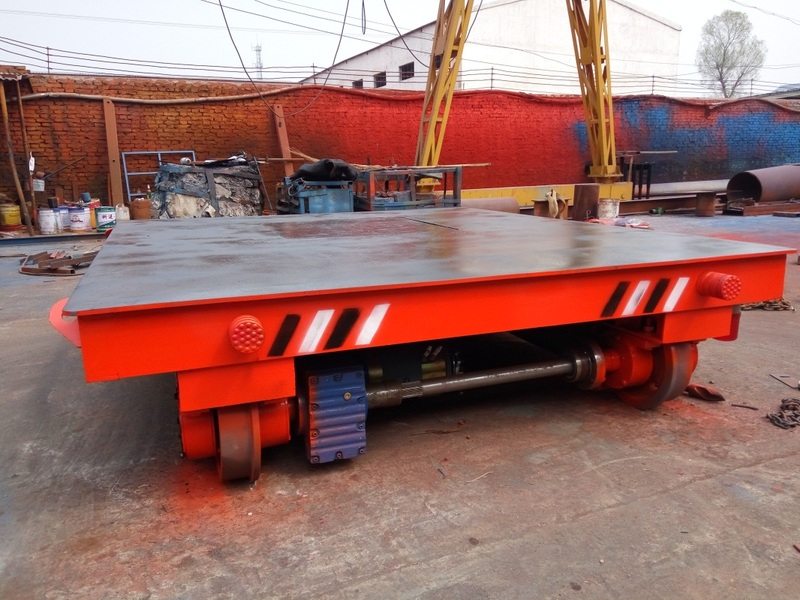 It also can be used in the ferry condition and flammable, explosive environment and the hydraulic lifting device can be installed on the flat carts. 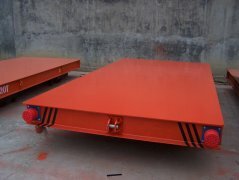 This kind of transfer cart is suitable to be used in the long running distance transportation and low using frequency.